FAMAT is pleased to announce the presence at the CPhlinida exhibition from December 14th – 14th in Delhi in collaboration with its exclusive agent & partner SAWANT Filtech Pvt. Ltd. 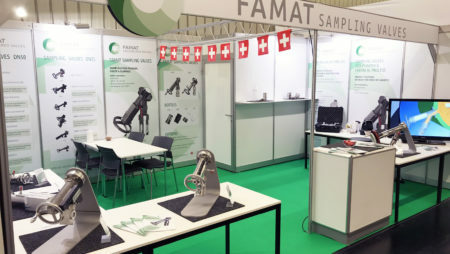 The FAMAT Swiss Made Sampling Valves will be presented during the exhibition. IPI Group is made up of international companies, recognized experts in the hydraulic industry. Due to its four divisions, Pumps, Fittings, Valves and Machining, IPI Group responds to the needs of its customers with a global reliable and responsive offer. Copyright © 2017 - FAMAT S.A.